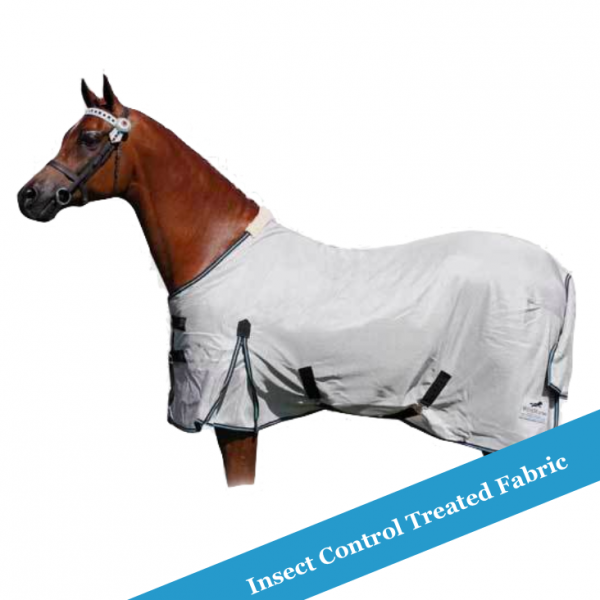 Insect Control treated fabric. A lighter, cooler option for the hotter days, this super cool Mesh fabric is our coolest option made with strong yarns but still offering an open hole weave to allow airflow. As a purchaser of your ripstock rugs for our stud horses and first time buyer of the mesh rug, I have to say you have made another excellent rug. As always a great fitting rug and still handles our conditions & requirement excellently. I love these rugs. ALL my horses wear them. The fit is fantastic and they sit really well on the horses. I have never had any problems with these rugs. 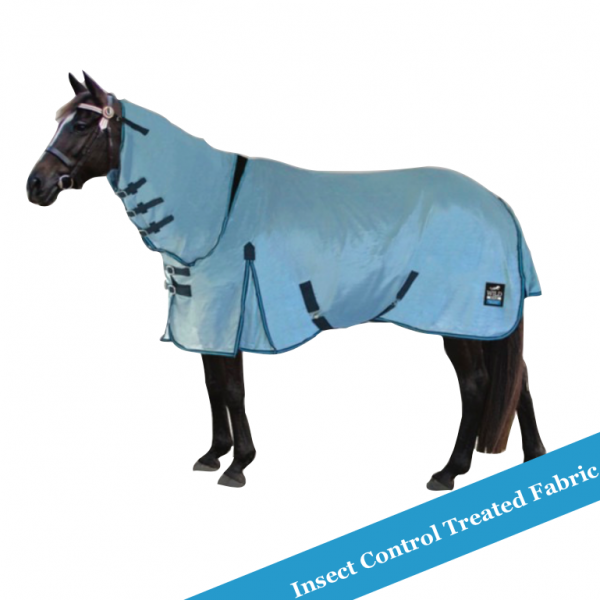 Happy, happy horses and their coats look great! Fantastic rug. 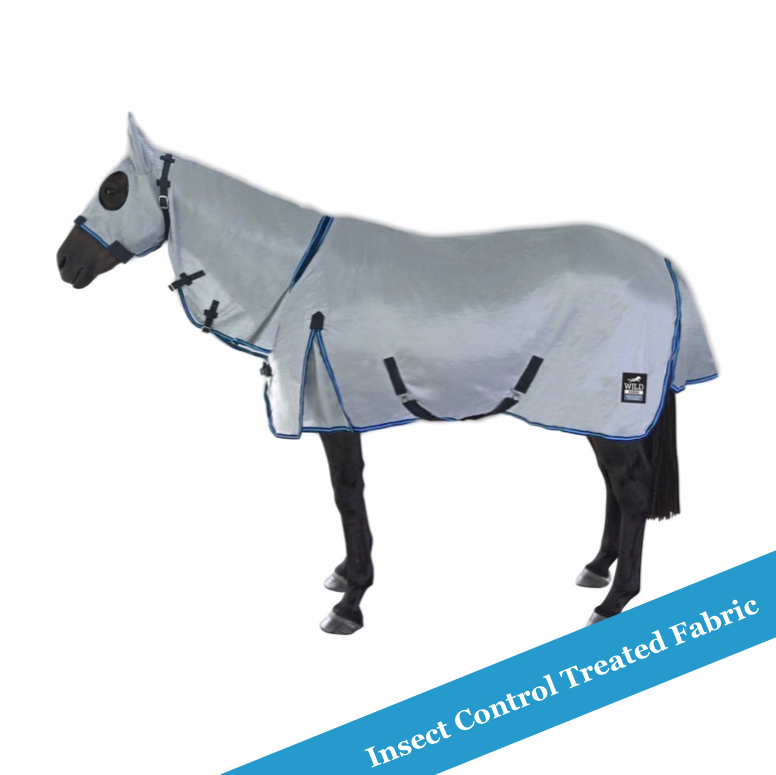 I bought the insect mesh rug with hood and ears. My poor horse has been driven mad by itching skin have tried everything. Other mesh rug, sprays and lotions. He has only had rug on for 2 weeks and already his skin has settled down. The welts have gone. I think in about a months time even his hair will have grown back. Great fit, great quality. The insert at wither is a huge benefit. From an Emmett Muscle Release Therapists point of view the wither insert is a tremendous inclusion as the wither area and the strap pressure has a huge influence on the horses muscular system. The repellent certainly works in South East Queensland for ticks and midges. Highly recommended. Great product but they are rather generous on the sizing. I got my ponies normal size rug and I wish I had of gone one size smaller. Never mind lesson for next time as I will buy again after I have saved up. They are rather expensive. 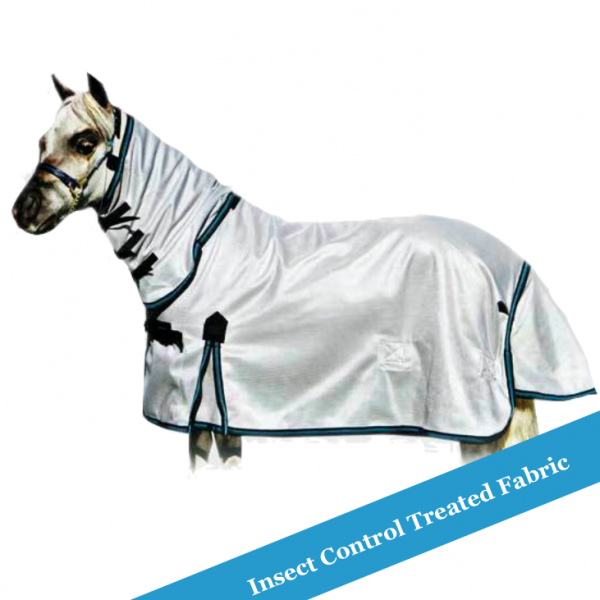 WE HAVE USED A UNIQUE PATENTED PROCESS THAT TIGHTLY BONDS INSECT PROTECTION DEEP INTO THE FABRIC FIBRES OF OUR COOL MESH RUG/HOODS. Mesh fabric is a lighter, cooler option for the hotter days. 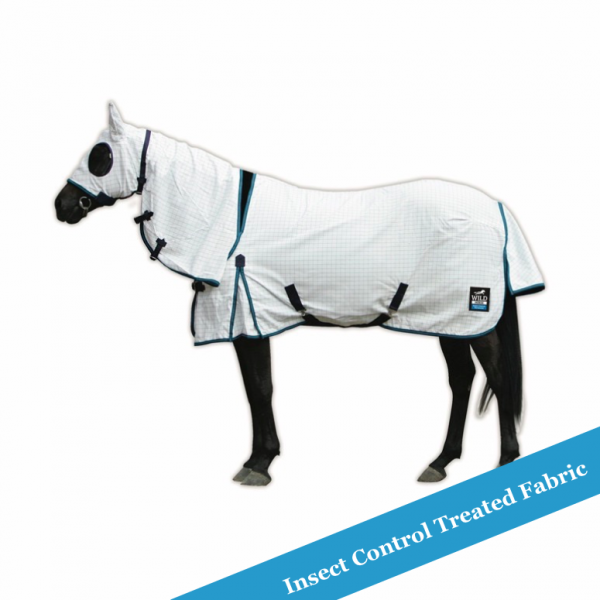 IF YOU NEED EXTRA EYE PROTECTION FROM THE INSECTS, YOU CAN NOW BUY OUR NEW ‘EYE PROTECTORS’ WHICH YOU CAN ATTACH TO OUR RUG/HOODS.